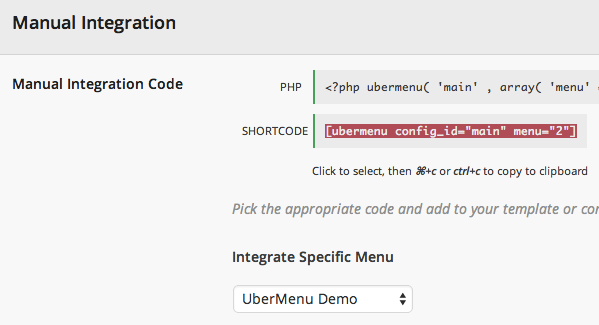 If you would like to add UberMenu to your site as a shortcode, go to Appearance > UberMenu > Main UberMenu Configuration. Click the Integration tab on the left and scroll to Manual Integration. Select the Specific Menu or Specific Theme Location you wish to use as the source of your menu. Paste the shortcode where you would like the menu to appear.